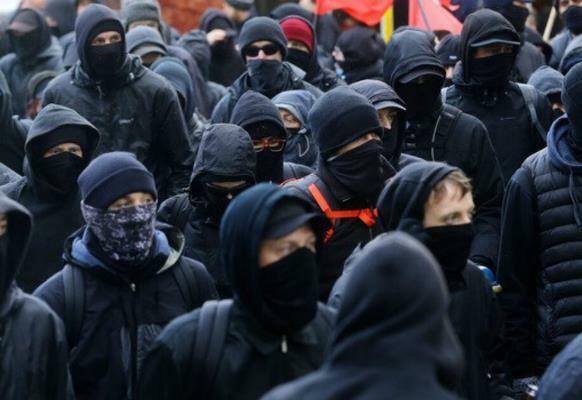 The violent left wing revolutionaries who identify themselves as Antifa announced to the world that they planned on staging a major attack on American democracy beginning Saturday November 4th. In this book Mr. Klein presents convincing evidence that the Antifa domestic terrorists have held meeting with representatives of both ISIS and al-Qaida. He also reveals that members of the leftwing hate group have traveled to Syria for training. Turn the game off and tune in. Your country is being set up for a revolution. Don’t let a vocal violent minority working with foreign enemies pull the wool over your eyes. If they were the legitimate loyal opposition they wouldn’t be wearing ski masks and conspiring with ISIS and al-Qaida to over throw the President of the United States. Dr. Owens teaches History, Political Science, and Religion. He is the Historian of the Future @ http://drrobertowens.com © 2017 Contact Dr. Owens drrobertowens@hotmail.com Follow Dr. Robert Owens on Facebook or Twitter @ Drrobertowens or visit Dr. Owens Amazon Page / Edited by Dr. Rosalie Owens.